Science fiction has often portrayed artificial intelligence (AI) as self-aware robots with anthropomorphic qualities and evil intentions. While this depiction may have made for good celluloid in the past it certainly doesn’t do modern AI justice. What is AI? AI in its current form is the simulation of human intelligence processes by machines. AI systems typically display some of the behaviours associated with human intellect, such as observation, learning, the capacity for logic, and the ability to solve problems. In the broadest sense, AI applications act upon instructions defined in the algorithms that power them. These algorithms use statistics to find patterns in massive amounts of data. Then they use those patterns to make predictions on things like what kind of music you may enjoy on Spotify, which new show you may consider binge-worthy on Netflix, or whether someone is in cardiac arrest. Like IoT devices, AI technology has been around for some time. One of the most significant reasons the term has made its way into our collective consciousness, is that AI technology has been incorporated into mainstream consumer products. AI is no longer a mysterious technology reserved for sci-fi fans or industrial conglomerates, instead it powers many of the programs and services that assist us every day. You not may realise it, but when you talk to your digital assistant; utilise the parking assist in your car; exploit your predictive search; or use the autocorrect feature on your smartphone you are leveraging the power of narrow AI. There certainly are more niche uses for the technology, such as AI- powered legal research platforms or high-frequency stock trading (HFT) algorithms, both offerings are designed to analyse huge volumes of data and return responses in milliseconds. However impressive these applications may be, they are considered examples of weak or narrow AI. 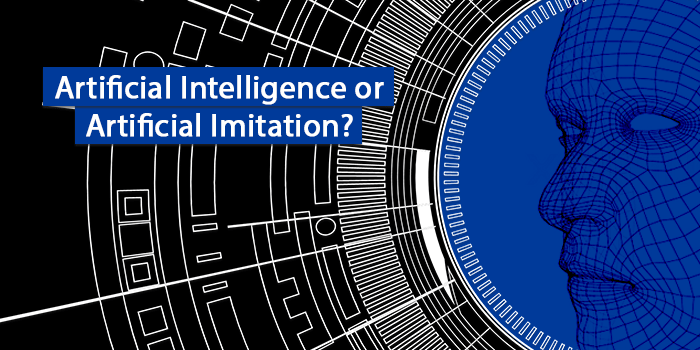 A narrow AI system displays a certain degree of intelligence in relation to a particular area, however it only performs highly specialised tasks for humans, within that narrow field. While narrow or weak AI is our current reality many people are excited about the potential of artificial general intelligence (AGI). Their goal is to develop a true artificially-intelligent system, one that is capable of learning on its own. To achieve this, the machines need information. As you may have gathered from the previous examples in this article, most of the progress in the field of AI has been in the category of algorithms known as machine-learning. There are subsets of machine learning such as deep learning, supervised learning, unsupervised learning and reinforcement learning, but essentially machine-learning algorithms find and apply patterns in data. Is it the idea of machines ‘learning’ that makes people nervous? As with most evolving technology there are proponents in favour of AGI and those strongly opposed to the development of any form of self-learning artificial intelligence. Before his death, Stephen Hawking told the BBC that efforts to create thinking machines would pose a threat to our existence. "It would take off on its own, and re-design itself at an ever-increasing rate," he said. Hawking wasn’t opposed to AI and acknowledged the value of the technology in its current form, he simply cautioned against developing intelligence capable of outperforming human beings. Rob High, Chief Technical Officer, IBM Watson stated in an interview with ZDNet that be believes AI is about augmenting and amplifying human cognition. He encouraged people to think of AI as a tool that amplifies or extends our knowledge to improve how we think and what we understand. Everything about our society is a product of intelligence, which means that enhancing human intelligence with artificial intelligence has the potential to hugely improve civilisation…unless this intelligence is used maliciously. Whether you are for or against the evolution of AI, it is safe to say that there is very little in our world that technology won’t influence and eventually transform. It is more likely that AI will change our world incrementally than in one fell swoop, but who knows John Connor, who knows. Do you want to change your business for the better? Request a call now, we’d love to help you.